Carol Walton is the CEO of The Parkinson Alliance, which runs the Parkinson’s Unity Walk. She became involved in the cause when her father was diagnosed with Parkinson’s disease in the 1980s and she tried to educate herself to help her dad and family learn how to cope with the condition. She then became involved in advocacy and helped to get the Morris K Udall Parkinson’s Research Act passed in 1997. 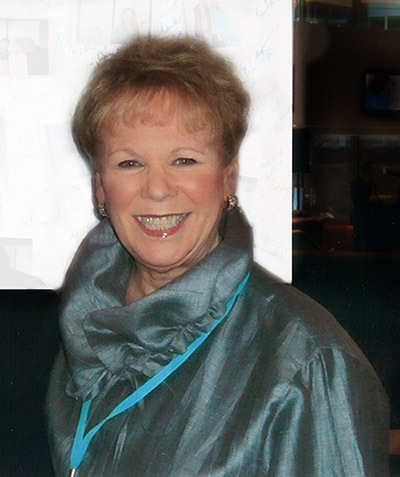 Carol began her work at The Parkinson Alliance in 1999. 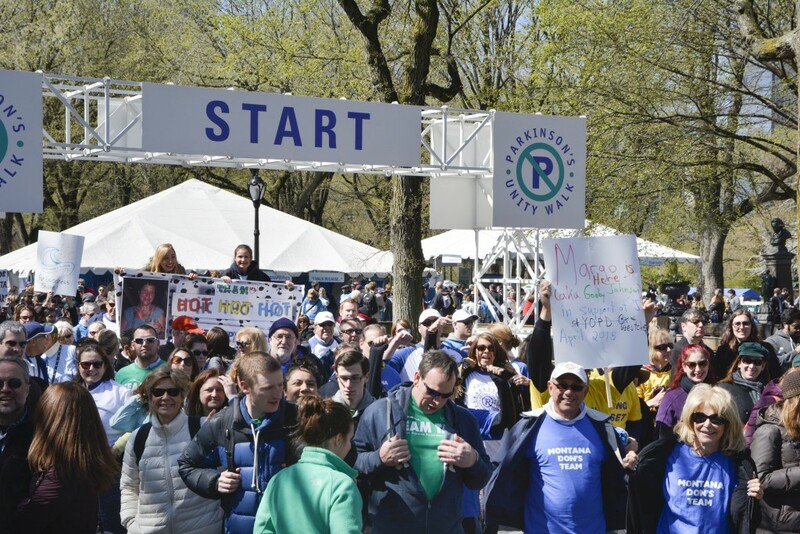 On 23 April more than 10,000 people will gather in Central Park, New York, to walk 1.4 miles with friends old and new to raise funds for Parkinson’s research. Now in its 22nd year, the Parkinson’s Unity Walk is the largest grassroots Parkinson’s fundraiser in the US, raising more than $20m to date. This year they are pleased to have the support of May May Ali – daughter of boxing legend Muhammad – and congresswoman Carolyn Maloney, co-founder of the Congressional Working Group on Parkinson’s Disease, who will both give speeches on the day. In this exclusive interview we speak to leading campaigner, Carol Walton, and find out why she’s so passionate about bringing the international Parkinson’s community together for one day each year. What’s your connection to Parkinson’s disease? My father was diagnosed with Parkinson’s disease in the early 1980s, but I hadn’t really heard of it at the time. In those days I spent a great deal of time getting in touch with doctors to find out more. I’m so pleased that we’re now at the stage where there are 36 therapies in the pipeline and there is much more information available for everyone to better understand the condition. What’s the key to the success of the Unity Walk? Throughout the year we hear a lot of stories from people who don’t know who to go to and what to do to gain the information they need, but the Unity Walk foundation networks become their personal connections to Parkinson’s support groups. People who join us on walk day are finally able to meet the people they’ve been in touch with via email for maybe a year for more. Sometimes people are a bit apprehensive, but find that it’s actually fun and uplifting – the walk gives people so much hope. With 10,000 to 11,000 people getting involved each year it sends out the message that you’re not alone. How has the walk evolved over the years? As the walk grows, we have to make changes. We’ve now introduced a ‘Register and Roll’ system that will be open for four hours. The walk is now so big that everyone can’t start all at once anymore. In the past, if you didn’t get there at the 9:30am start time you would have missed it, which was such a shame. But now so many more people are able to take part! Wheelchair access used to be an issue, but with the staggered start times people can go at whatever pace they like. This year we have a bandstand with live music playing for the entire time and ‘Rock Steady Boxing’ – the US-wide non-contact boxing therapy, specially developed for people with Parkinson’s – demonstrations. May May Ali, who has been involved for many years will take the role of MC and read a few of her poems. 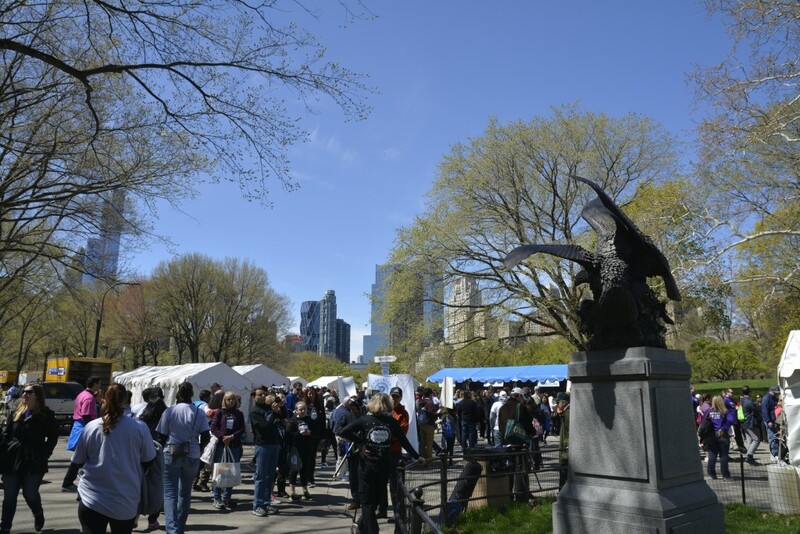 What kinds of people join the walk? Are there many people with Parkinson’s out on the day? Families, relatives of people with Parkinson’s, and people from their work all travel to New York to do the walk. Some people even fly in from the other side of the world! In 2015 a teacher brought 120 school children, and there were people from 28 countries including Australia, Spain, the Netherlands and the UK. What’s it like to have the support of high-profile Parkinson’s advocates like May May? People love to be around her and we love her enthusiasm for the event. She is always so happy to do the walk and is up for posing for pictures with people. She’s got that Ali energy! People often say that “you need lots of celebrities at these kind of events” and it’s great if they give us a big cheque, but it adds an extra element of planning because of all the extra security needed! You mention planning for security. How long does it take to plan and prepare for such a large-scale walk? Two people work full-time on the Unity Walk all year round. And in actual fact, we’re already working on the 2017 event (yes, before we’ve even gone out on this 2016 walk!). Working directly with the Central Park authorities means that we have to play by the rules. We have eight trucks that head down the night before which bring all the equipment like the professional audio systems. More than 20 people are there all night to set up. On the day our marshals are ferried in on golf carts as Central Park is so big. What do you love most about your work in overseeing the Unity Walk? I love the fact that we are able to invite so many Parkinson’s disease specialists – neurosurgeons, movement disorder specialists, movement disorder nurses, anaesthesiologists, physiotherapists, occupational therapists, deep brain stimulation programmers and nutritionists – who are willing to donate their time on walk day. It means walkers can meet the experts face to face and ask them any questions they have. On the day of the walk what’s your role? Will you be out there walking too? My role is to thank all of the sponsors. I do a lot of interviews with a film crew as we have a PR firm involved on a pro bono basis. I’ll also be introducing the Parkinson’s Unity Walk chairman, Martin Tuchman and congresswoman Carolyn Maloney, who co-founded the Congressional Working Group on Parkinson’s Disease, which lobbies for Parkinson’s causes at national level. What kind of projects does the walk fund? We have seven partner organisations who all receive a share of the money raised by the walk each year. These are: The American Parkinson Disease Association (APDA), the National Parkinson Foundation (NPF), Parkinson’s Action Network (PAN) Parkinson’s Disease Foundation (PDF), The Michael J Fox Foundation and the Parkinson Alliance (PA). Through all the projects run by these organisations we end up with a very diversified portfolio. What fundraising target would be a success for 2016? More than $20m has been raised but each year we hope to raise more than the last as research takes such a long time. It doesn’t matter who you are, we’d like to invite the world to walk with us! Carol Walton has been a frequent guest on my podcast. 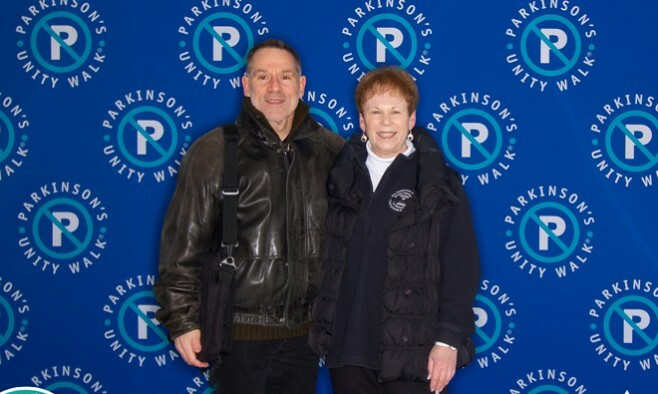 She has great energy and commitment to serving individuals with Parkinson’s, and I only wish I was walking with everyone in NYC!